On the evening of May 29, TASCHEN and the Natural Resources Defense Council welcomed an intimate crowd of nearly two hundred guests to a cocktail reception in honor of Walton Ford. 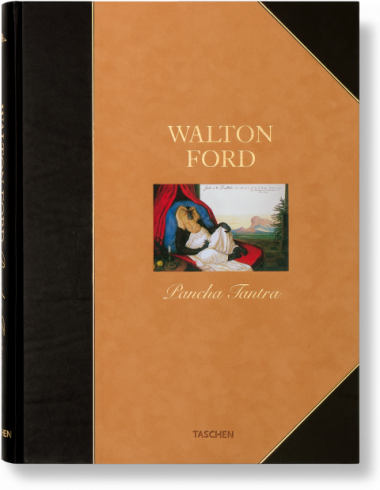 Partygoers enjoyed a special preview of Ford’s newly created work, Oso Dorado, along with the opportunity to meet the artist on hand to sign books. Guests in attendance for the evening included actor, Val Kilmer, Gagosian Gallery Director, Deborah McLeod, gallery owner, Michael Kohn and Professor Emeritus of Geography and conservation scientist at UCLA, Harmut S. Walter. Courtesy of Paul Kasmin Gallery, Oso Dorado will be auctioned at NRDC’s The Technology of Earth Benefit on May 31st. Proceeds support NRDC’s mission to safeguard the Earth. With warm thanks to our friends at the Natural Resources Defense Council, Paul Kasmin Gallery and Gagosian Gallery.